If you do a lot of traveling you know the importance of having a good quality travel bag. A bag that will make your trip from A-B seamless, comfortable and if you’re a StyleScoop reader, stylish as well! That’s why I am in love with my new TUMI Tegra Lite International Carry On bag. 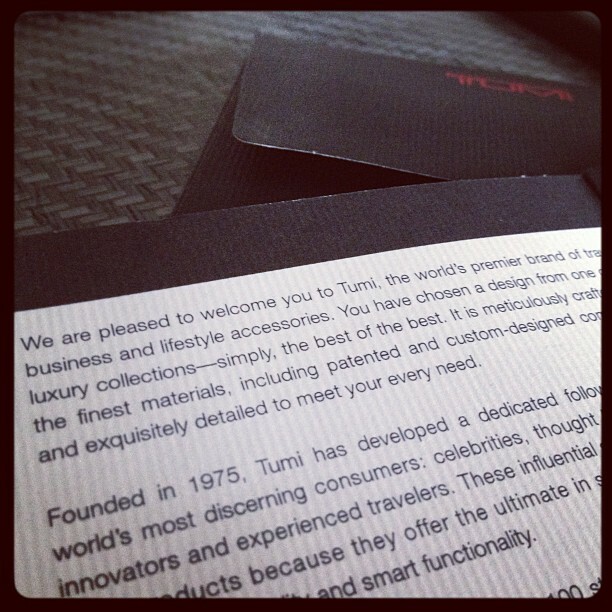 Last year I travelled to launches, events and client meetings in my TUMI Arrive bag, which I loved. The problem however, was that the Arrive bag was a little too heavy and most of the time I travel for just one night, so I prefer to take a carry on as apposed to checking in my luggage. But this year, things are looking up and whole lot lighter, as I’ll be traveling in my stylish new TUMI Tegra Lite Bag. When I received my bag, I was grinning from ear to ear. Not only is it super light, but it looks so darn good and I love the fact that it has a 4-wheel system, which means I can wheel it behind me or next to or in front of me. Perfect for walking down those super narrow aircraft isles. The exterior of the bag is super strong, made from Tegris, which is a revolutionary polypropylene thermoplastic material that is used in lifesaving armor, NASCAR race cars and protective gear for NFL players! It also features protective bumpers, a telescoping handle, retractable top carry handle and for international travel, TSA integrated locks. The locking system is beyond awesome! You just zip up your bag, clip in the ends, turn the lock dials and you’re set. If you travel overseas and for some reason the airline officials need to open your bag, they won’t have to break through your lock damaging the bag, because it has the TSA unlocking feature as well. Inside, the bag is finished off with lining and features zip pockets and tie down straps. 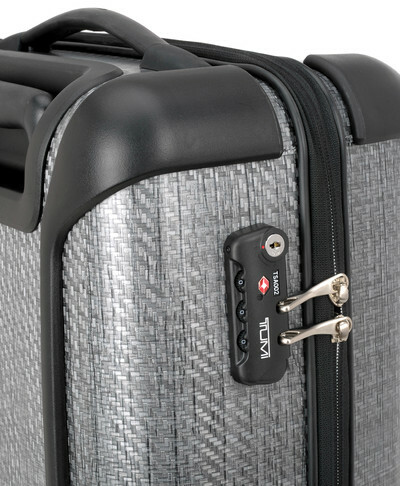 I used my TUMI Tegra Lite for the first time when I went to the British Airways Celebration Event and could fit everything nicely and neatly inside. 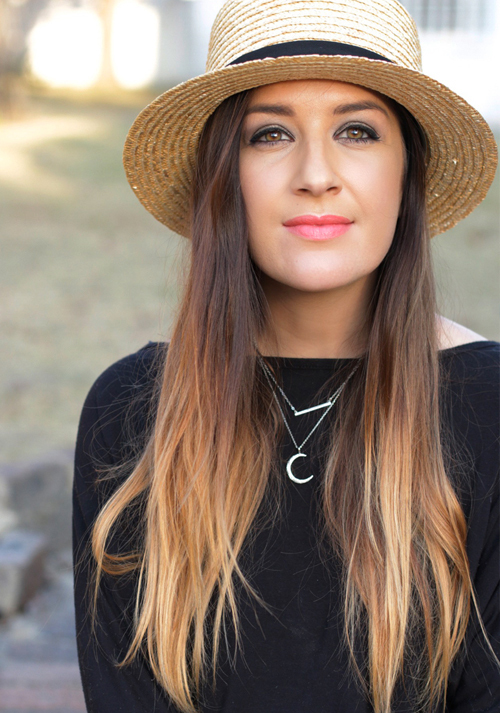 I managed to take a change of clothes for the event (with two pairs of heels just in case), a change of clothes for the next day and all my usual stuff (like pj’s, toiletries, makeup, my ghd). All in all the bag weight was kept to under 7kg, so I could take it on board with me. The bag fitted perfectly into the aircraft’s overhead cabin, like it was made for it. When they opened up the cabin at the end of my flight, my bag was still in the exact same place I put it. This weekend, the hubz and I are on our way to Europe to enjoy a much needed holiday and some fun in the sun and I am absolutely looking forward to traveling once again with my TUMI. We’re off to Greece, via Dubai so there will be a lot of time spent in the airport waiting for connecting flights, and having a light bag with me will no doubt make the trip more bearable. 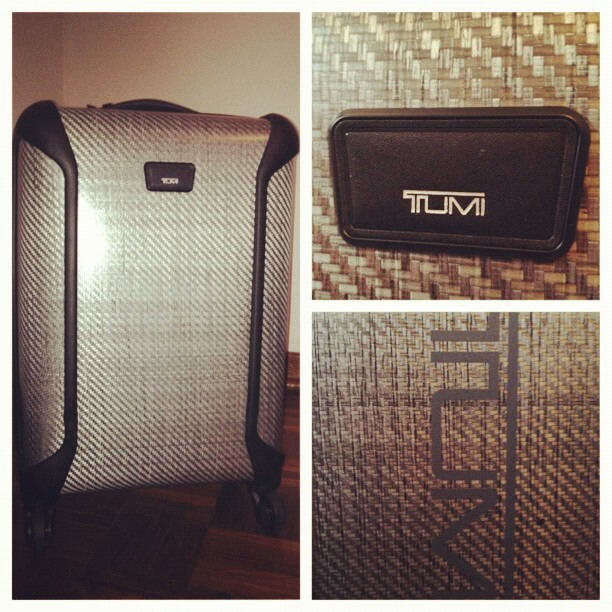 My TUMI is only one bag in the TUMI Tegra Lite collection. 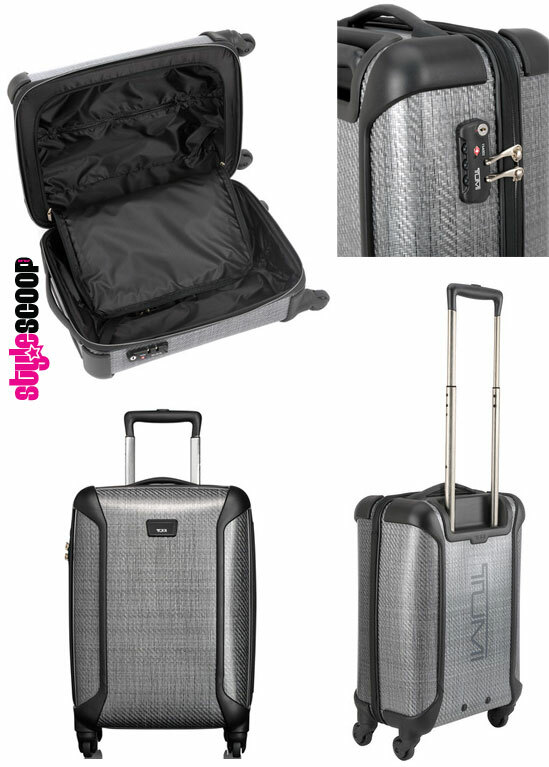 If you’d like to check out the other options in this range, visit the TUMI website. If you’ve already got a TUMI then welcome to the club, if not, then you have no idea what you’re missing!